Ray Rose Raindrop is a high quality professional ladies Latin dance shoe and a High Tech upgrade to the Raindrop 885 Model. Raindrop comes in Light Tan Satin with a choice of two width fittings, Medium and medium +; Customers with a wide foot will find Medium + a wider fit. You can also choose from a range of heel heights. 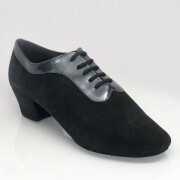 Medium width shoes come with 4 heel choices: 2″ Slim, 2.5″ and 3″ Flared and 3″ Straight. 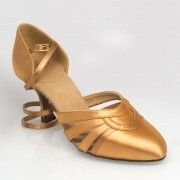 Medium + Width shoes have 3 heel choices: 2″ Slim, 2.5″ Flared and 3″ Straight. Also available in UK sizes 2 – 8 including half sizes. Fixed 5 Strap Sandal with diamante patterned front ladies Latin dance shoe featuring a High grade latex sports orthotic with integral metatarsal support. • Unique Artsport diamante encrusted front. • Unique Artsport diamante buckle. • Anti bacterial microfiber sock and lining. • Sports grade heel support material. 2″ Slim, 2.5″ and 3″ Flared and 3″ Straight Heels for Medium Fit. 2″ Slim, 2.5″ Flared and 3″ Straight Heels for Medium + Fit. UK sizes 2 – 8 including half sizes. Copyright © 2018 Moondance London Ltd.